← The Deadline To Register To Vote In Texas Is Oct. 9. Here’s Everything You Need To Know. Conservationists have learned how range management and grassland restoration can help grassland birds. Ranchers have played an important role in deepening conservationists’ understanding of this relationship. 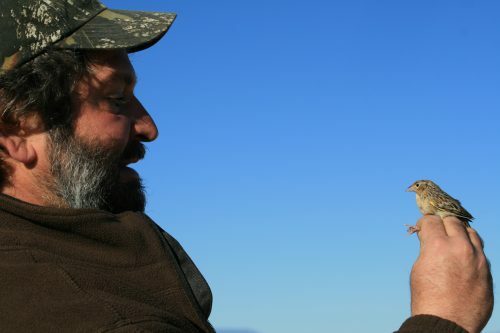 Arvind Panjabi will speak more about the partnership between ranchers and conservationists at the Crowley Theater on Thursday, October 11 at 7 pm at part of the Chihuahuan Desert Research Institute’s Conant Lecture Series. This entry was posted in KRTS News and tagged Birds, Environment, grasslands. Bookmark the permalink.